Apples third-generation iPad offers major improvements in its hardware, software and Internet cloud services, but retains the same overall form factor, price and extended battery life of its predecessor. In our initial review of the first iPad in 2010, we had to introduce it as an entirely new category of product. A new form factor, a new feature set, new user interface and a new overall way of working with technology that Apple has since come to refer to as a Post-PC device. In our subsequent review of iPad 2 last year, we had to note how quickly Apple had improved upon iPad in comparison to successive generations its earlier products, including the iPod and iPhone. The latest iPad delivers new enhancements at an even faster pace than last year's iPad 2. 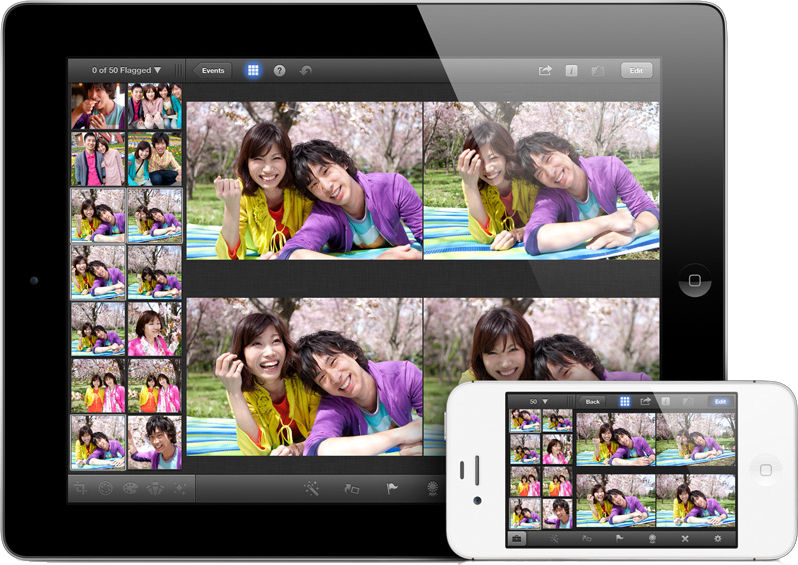 While it took Apple four years to bring its Retina Display to iPhone 4, iPad is getting similar treatment in just three. The new iPad also offers 4G LTE mobile data service that no version of the iPhone yet delivers. Unlike other vendors' 4G devices, the new iPad doesn't compromise its long battery life to do so. The new iPad also delivers twice the RAM and twice the graphics processing performance of the latest Phone 4S. This year's iPad also now provides the same high-quality FaceTime (thats Apples new brand for VGA-quality video conferencing cameras) and 5 megapixel iSight (its resurrected brand now applied to cameras capable of HD video, with higher quality photo optics) cameras that debuted on the more expensive iPhone 4. Previous iPads used the same basic 720p rear camera as iPod touch. Of course, the new iPad isn't competing against the iPhone. Apple's iOS devices are collaborating, leveraging upon incremental advancements delivered every spring by iPad and every fall by a new iPhone model. A major example of that collaboration comes with the latest iOS software. Some features debut on the iPad (as Apple's iWork apps or Photo Booth, still exclusive to iPad) and some originate on new iPhones (such as FaceTime and Siri/Dictation). The new iOS 5, for example, erases one of the biggest drawbacks of previous versions of iPad: its mandatory tether to iTunes for content, sync, backups and initial configuration. Among the "obvious limitations" of iPad 2 that we complained about last year, we noted, "it's modeled after the iPod as a peripheral you attach to iTunes," adding that this "means you can't use iPad as a computer replacement." Well now you can, thanks to iOS 5's "PC free" set up and iCloud. Apple has similarly incorporated iOS features into OS X Lion (Auto Save, Mac App Store, LaunchPad, Full Screen Apps, Photo Stream, Find My Mac) and the upcoming OS X Mountain Lion (iCloud features such as Reminders and Notes, Twitter integration, iMessages, Notification Center, Game Center and AirPlay Mirroring). 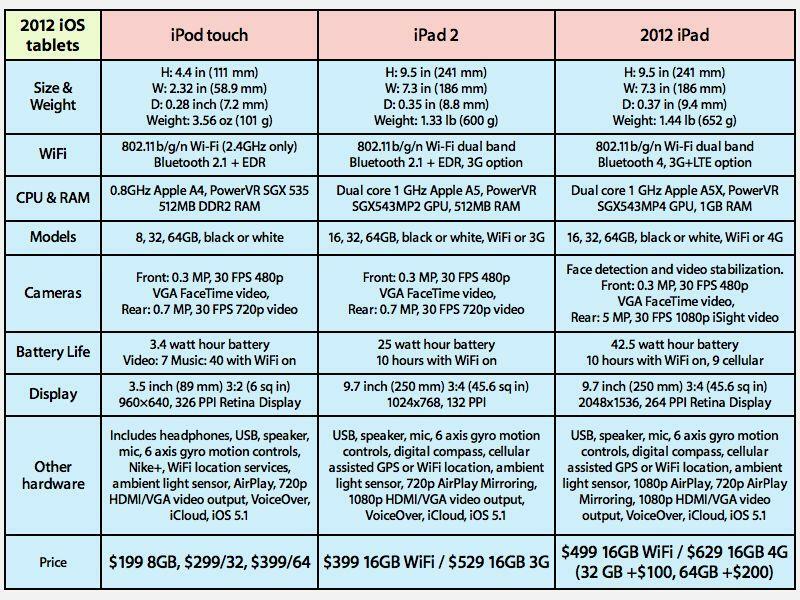 The overall depth and breadth of advancements in the new iPad offer an explanation for why Apple is simply calling it the new iPad. While competitors may offer tablets branded third-generation or 4G or HD, they can't call their new products an iPad. Being an iPad means the ability to run a vast portfolio of tablet-optimized apps, deep integration with iTunes for easy content management and simple connectivity with iCloud for email, messages, contacts, calendar, bookmarks, photos, Documents & Data and remote find and alarm services, all in one place. 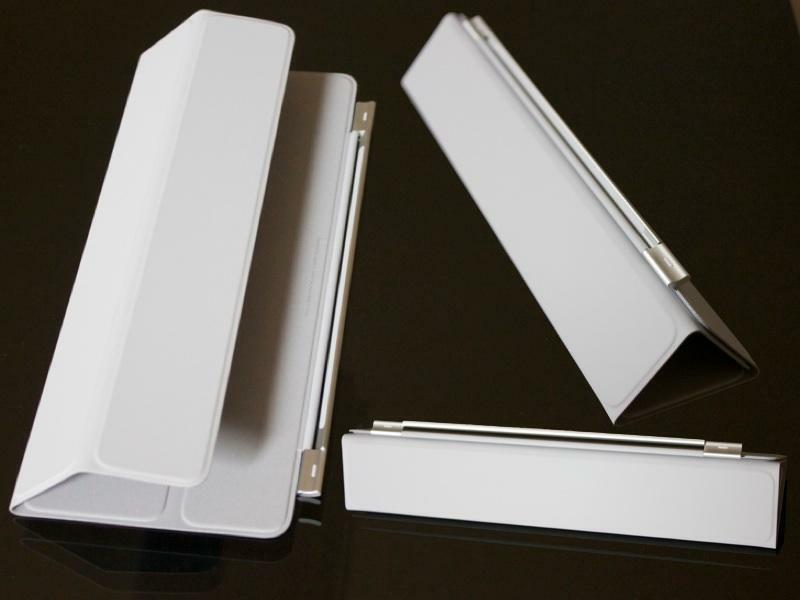 Being an iPad also means the ability to work with "Made for iPad" Dock Connector compatible peripherals, low power Bluetooth 4.0 devices, and accessories including Apple's Smart Cover introduced with iPad 2. Apple just enhanced what it means to be an iPad with the release of iOS 5.1 (and new apps including iPhoto and updated versions of other iLife and iWork apps) and with the incorporation of blockbuster new hardware features in the latest iPad.